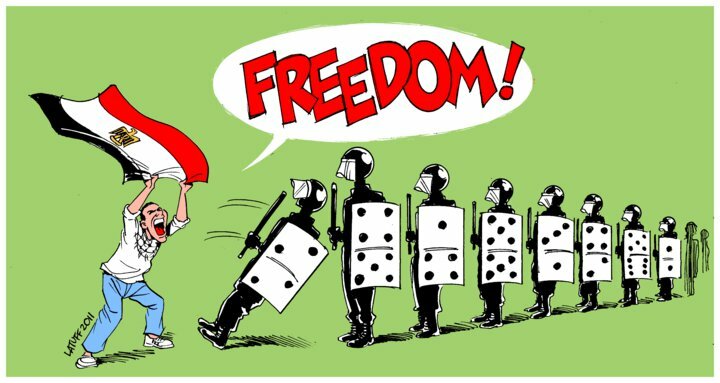 This entry was posted on March 27, 2011 at 12:43 pm and is filed under Art, Political Cartoons, Politics with tags Arab Spring, Censorship, Jasmine Revolution, Protests. You can follow any responses to this entry through the RSS 2.0 feed. You can leave a response, or trackback from your own site. I congratulate you in your achievements! It is always good to see someone bringing news out to the world, and fighting not just for Viet Nam, but other oppressed countries around the world! It’s NEARLY IMPOSSIBLE for people to stage democratic movements in countries especially in China and Vietnam. Their leaders will have it crushed in seconds!! Even if they DID manage to stage democratic movements, it might result in a bloody crackdown much more worse than the one in Tiananmen Square protests in 1989.